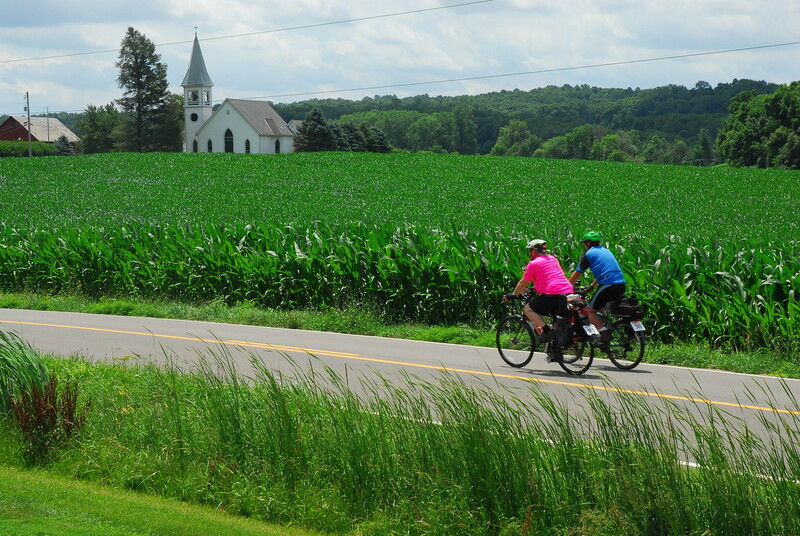 The Great Ohio Bicycle Adventure is an annual eight-day journey of fun and discovery for up to 1,500 riders of all ages. GOBA is a tour, not a race. Most riders find plenty of time during the day for sightseeing, snoozing on the grass and enjoying food along well-marked routes that have mechanical and medical support. Riding distances between host towns average about 50 miles per day, with sanctioned cutoffs (new in 2019) that reduce the routes to about 35 miles. The tour makes a large loop, with cyclists riding as few as 140 miles or as many as about 400 miles, depending on which optional routes and cutoffs they choose. The tour finishes in the starting town, where riders’ cars have spent the week parked in a secured lot. During overnight stays and layover days, our host towns entertain us with numerous family-friendly activities in camp and provide shuttle buses to events, attractions, eateries and services in the community. For those who want to pedal, optional bike rides are offered on layover days, including a 100-mile “century” challenge. GOBA is primarily a camping tour; overnight tent camping is included with the registration fee. Each rider brings a large bag containing their tent, sleeping bag, clothing and other gear. Luggage trucks transport the bags to the next “GOBAville” — usually at a school, college or park — where the amenities include shower trucks and indoor activity space. A GOBA vendor sells optional tent, towel and chair services, and GOBA sells car-camper passes. Indoor accommodations — such as hotels, dorm rooms and gym floors — often are available in the host towns, but riders must make their own arrangements. Watch goba.com and the pre-tour newsletters for information. 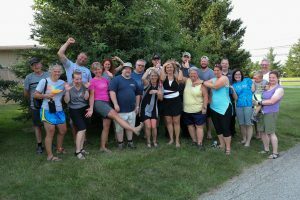 A highlight of GOBA is the delicious and reasonably priced food that’s sold along the routes and in the overnight host towns by civic, social and church groups as a fundraiser. Many restaurants also are eager to serve GOBA riders and may offer discounts. For more detailed information about GOBA, visit the “How to GOBA” webpage and download the “Way to GOBA” rider handbook. • 2019 newsletters — COMING IN MARCH, MAY AND JUNE!